Apartment was basic but clean. The location was great! Great location, central but quiet. Very clean and lots of space. We were accomodated as we arrived from the airport which was wonderful. Location is excellent. Also host was waiting at the apartment - easy key pickup. It was my 5th time in Prague, already the 3rd one in this area and 2nd time in the same apartment. Great location, nice welcome from Tereza, lots of space, a few minutes walk from all the main places downtown! The Location is Amazing, the appartment is huge and so beautiful and have all the necessary equipments. It is in the Old Town and near to all the important Locations e.g Old Town Square, Charles Bridge, New Town Square and lot more. Highely Recommended !! Really great location, in the heart of the downtown. Well-equipped, washing machine, spaciouss rooms. I really recommend it. This was my second time there, but not the last. Everything went smoothly. Iva was amazing she was so helpful with everything with the luggage and explained us about all the attractions around and answered every question. The location is also great. The apartment has Everything that we needed londonderry and comfortable beds and good kitchen. Great location, you can't be any closer to the Charles Bridge or the main square. Lots of space in the apartment, nice beds and bathroom. 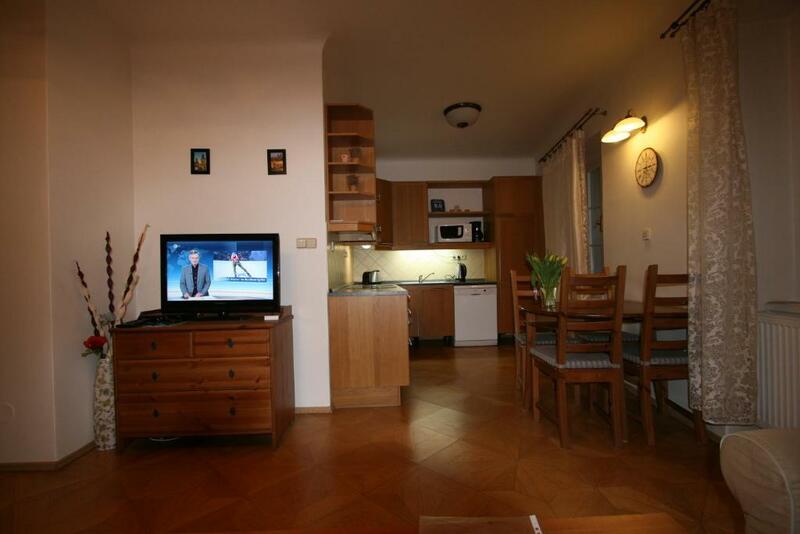 Lock in a great price for Apartment Stare Mesto Anenska – rated 9.2 by recent guests! Apartment Stare Mesto Anenska This rating is a reflection of how the property compares to the industry standard when it comes to price, facilities and services available. It's based on a self-evaluation by the property. Use this rating to help choose your stay! 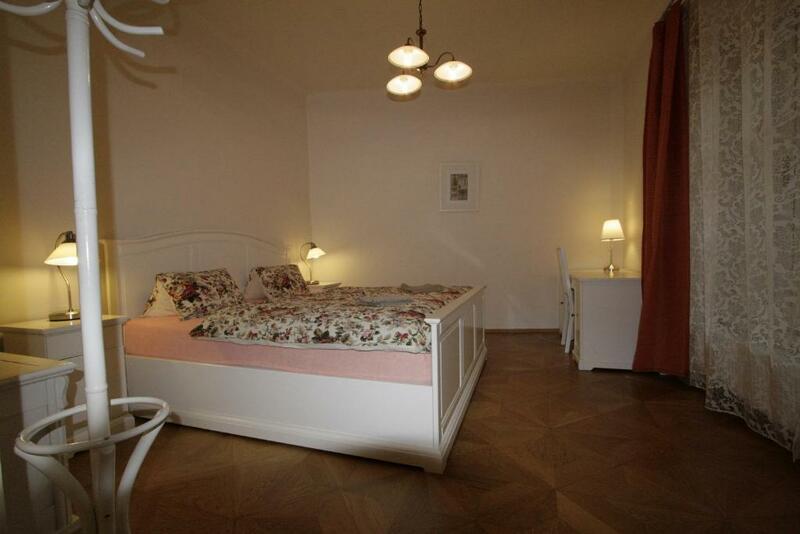 Apartman Stare Mesto is in Prague's center, 1,000 feet from Charles Bridge and half a mile from the Old Town Square. In a historic building from the 17th century, it offers a spacious apartment with a kitchen and private bathroom with shower. 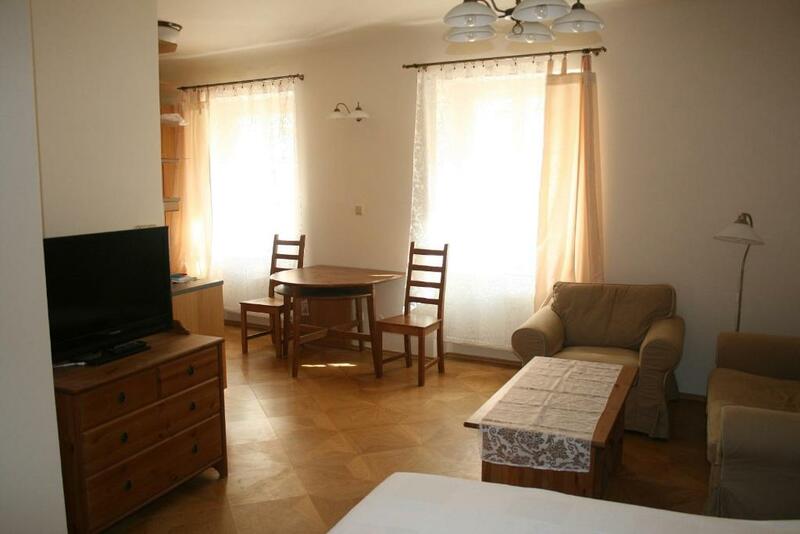 There are numerous restaurants, grocery shops and bars within a 5 minute walk of the Stare Mesto Apartman. The Vltava River, where boat trips are available, is only a 2 minute walk away. Guests can park their car for free in public areas in the neighborhood. Transportation to Prague International Airport can be arranged upon request. 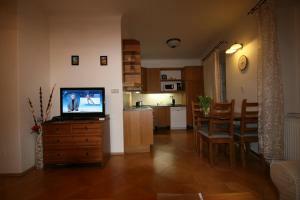 뀐 Located in the real heart of Prague, this property has an excellent location score of 9.6! When would you like to stay at Apartment Stare Mesto Anenska? restaurants, bars and grocery shops within a 5 min walking distance. House Rules Apartment Stare Mesto Anenska takes special requests – add in the next step! One child from 0 to 2 years is charged EUR 10 per stay in a crib. Up to two older children or adults are charged EUR 12 per person per night for extra beds. Please note that Apartmany Stare Město has no reception. Please contact the property in advance for check-in arrangements. Late check-in is only possible upon prior confirmation by the hotel. Please note that your reservation is otherwise not guaranteed. Please note that the hotelier can pick up the guests from the train or bus station in order to give them the key. Please let Apartmany Stare Město know your expected arrival time in advance. You can use the Special Requests box when booking or contact the property. Please note that check in after 19:00 is possible for an additional cost. We could use a second fan in the summer, i know AC isnt very popular in Eastern Europe but it can get pretty hot! We were left for 3 nights with one roll of toilet paper.. Towels very small. A bit hot in the summer. I know AC is not very common in Central/ Eastern Europe but I would recommend bigger fans. Just a warning, the floor in bathroom on two levels. Bath mat provided outside shower but put towel down when you step down to sink. I fell !